Zahid has a strong pedigree of accounting expertise embodied by his decades long experience in financial consulting. He has established himself as a trusted professional and colleague by showing competency in all areas of economic and business advising. Zahid understands the challenges of small business operations and prides himself on finding solutions that are tailored to the needs of his clients. You can rely on him in any phase of your journey from structuring an entity to cash flow analysis and compliance with local, state and federal agencies. His diverse experience in business management, estate and tax planning, wealth investment and preservation ensure the best representation for your financial needs. held talks at US Small Business Administration (SBA) program for new and startup business. Member of Los Angeles Area Chamber of Commerce, advocating for small business in Los Angeles. Board member and treasurer for Advantage CDC which provides loans to small business. Co-chaired joint discussion group for CPAs and Attorneys from CalCPA and San Fernando Valley Bar Association. Board member New Horizon School Los Angeles. 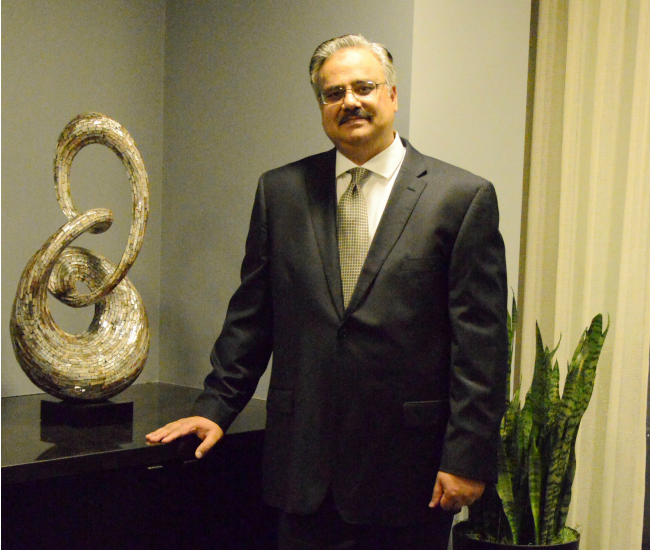 Zahid Aziz was recognized as “Most Trusted Advisor”, by San Fernando Valley Business Journal. Zahid received his B.S. degree in Accounting from Southeastern University in Washington D.C. He worked with various local accounting firms before joining Miller Ward in 2005. Zahid Aziz is a member of the American Institute of Certified Public Accountant (AICPA) and the California Society of Certified Society Accountants (CSCPA). He resides in Los Angeles with his wife and three daughters. Zahid enjoys spending time with his daughters, going for hikes on weekends, and taking short local trips.